My sister was not prepared for winter driving in her sports car. She rear ended someone when it snowed. She thought it would be cheaper to buy a new bumper cover and put it on, but put in a claim on her insurance instead. 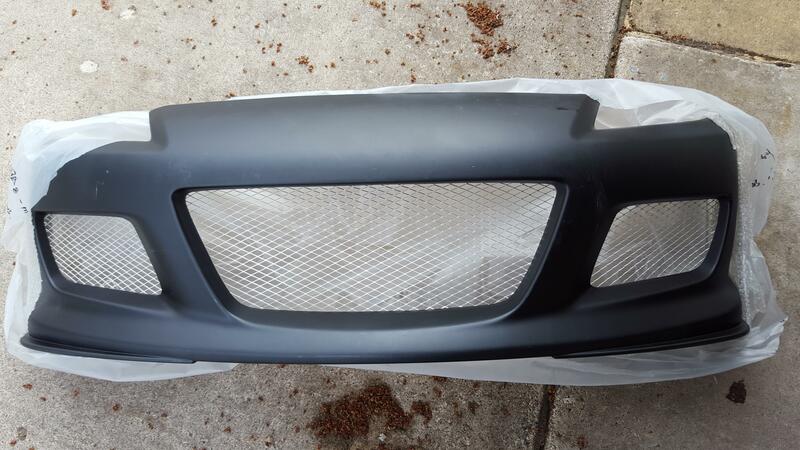 So I have been storing this bumper cover for her for about 2 years looking for a good place to unload it. New in the box, never been installed. Whiling to meet somewhere or ship at your expense. Make me a reasonable offer. Link to the website where she bought it from. 2004-2008 Mazda Rx8 2Dr Magnum Front Bumper Vis Racing Sports Inc. I am having trouble finding a cheap way to ship it. But here are the sizes, so you can attempt to find a shipper. 80"x28"x24" 30 pounds. Hello do you still have the front bumper? Thanks.